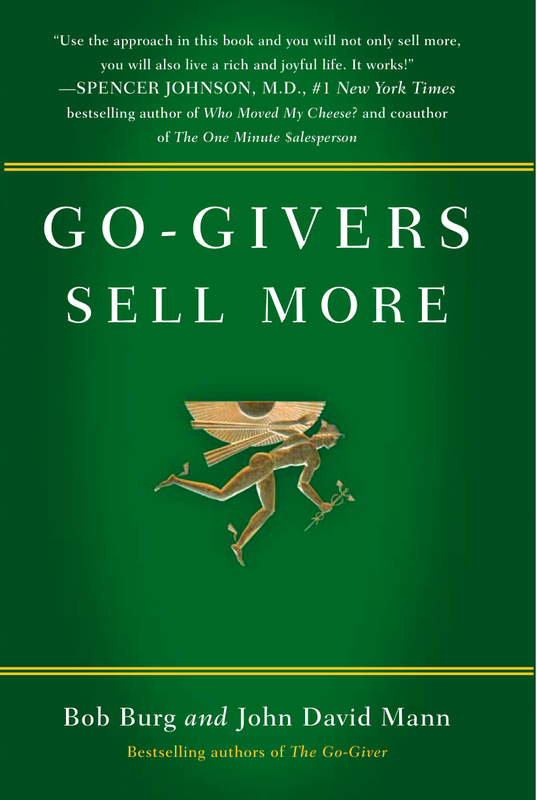 The book, Go-Givers Sell More, written by Bob Burg and John David Mann is the follow up story to The Go-Giver. The underlying theme in the story is: “It’s not about you, It’s about THEM!” Bob and John craftfully bring the lessons of The Five Laws of Stratospheric Success into real life. They challenge the way sales people view every conventional sale techniques, from prospecting to closing. Not only will applying these lessons change your sales results, they will crossover to dramatically change all other aspects of your life. In some manner we are all selling ourselves 24/7. Living by these laws will allow your authentic self to always be available. I cannot think of a time when living from that place will not bring abundance to your business, personal and spiritual life. Go-Givers Sell More illustrates real life examples of how others have used the Go-Giver Philosophy, and how it positively impacted their business. One of my favorite stories was about a group of people who were all unemployed and looking for work. One member shared the Go-Giver principles with the group, and they all changed their focus from self-interest to everyone searching for employment opportunities for everyone else in the group. And, they accomplished that and then some! 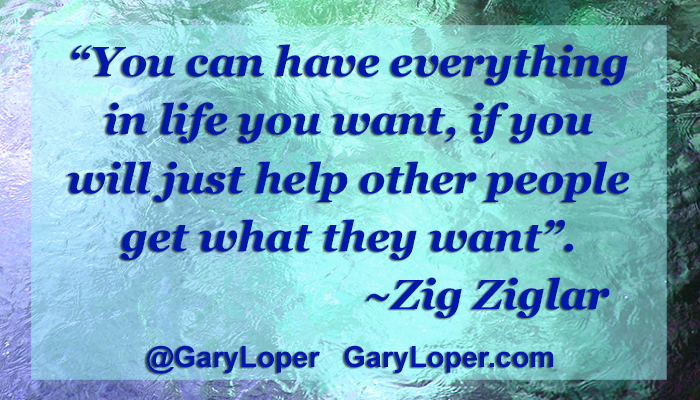 Zig Ziglar stated “You can have everything in life you want, if you will just help other people get what they want”. Go-Givers Sell More is your road map, sales or business plan to fulfill your dreams by helping others. 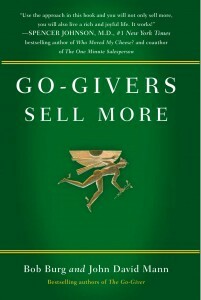 To purchase the Go-Givers Sell More*, and other Bob Burg books and CDs at our low-cost, special prices, visit this page.